In this Nov. 30, 2018, photo medical marijuana dispensary owner Chance Gilbert displays some of the marijuana he's grown at the Oklahoma Roots dispensary in the bedroom community of Shawnee, about 40 miles east of Oklahoma City. The roll out of statewide medical and recreational programs typically is a grindingly slow process that can take years. Not so in Oklahoma, a Bible Belt state that moved with lightning speed once voters approved medical cannabis in June 2018. The ballot question received 57 percent support and established one of the nation's most liberal medical pot laws in one of the most conservative states. Six months later, the cannabis industry is booming. 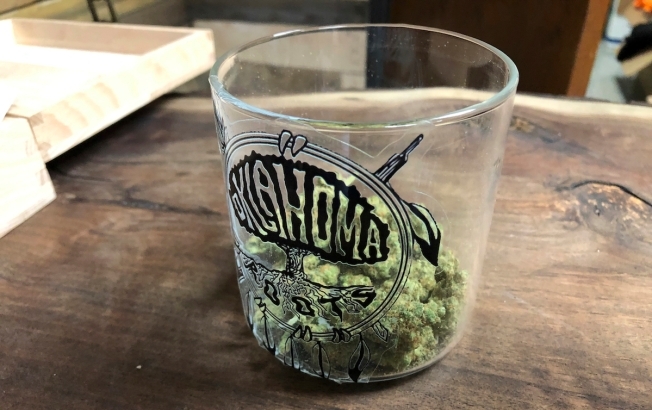 "I think we really are the wild, wild West in many respects," said attorney Sarah Lee Gossett Parrish, whose firm in Norman represents several cannabis businesses. "Here in Oklahoma, we're a pretty independent constituency. We are primarily a red state, but we don't like a lot of government controls." Since August more than 22,000 have been approved and thousands more are in the pipeline. There are now 785 licensed dispensaries. Some small Oklahoma towns have as many as a half-dozen. Norman and Stillwater, the state's two largest college towns, have 45 combined. Sage Farms is among more than 1,200 licensed commercial growers. Owner Ben Neal has been using high-tech growing techniques for years to produce tomatoes, lettuce, peppers and other vegetables at his six greenhouses in rural Tulsa County. He's now converted a third of his operation to growing marijuana, hired three new workers and just harvested 200 pounds of various strains that will be auctioned next month. Neal said he has been offered $2,800 per pound for the entire crop, a total of $560,000. He's shocked at how quickly Oklahoma has embraced the industry. "Nine months ago, I was saying that Oklahoma would be the last state that ever does it, and then all of a sudden this happened," Neal said. "It's kind of radical how fast it's gotten going," said Gilbert, who expects to produce about 50 pounds of marijuana a month once at full capacity. "We assumed it would be an Arkansas model, that it would be years before it was implemented and rolled out." The primary driver behind Oklahoma's quick rollout was a broadly written, citizen-led ballot question that included quick deadlines and required regulators to grant a license to every qualified applicant. But several political ingredients combined to push the effort along. Then, when the Oklahoma State Board of Health tried to impose heavy-handed restrictions, such as banning smoke-able pot and requiring a pharmacist at every dispensary, the public was outraged. Every segment of the pro-marijuana movement mobilized and even the state's Republican attorney general weighed in with a legal opinion that the board had gone too far. "I think every Oklahoman who has a soul was appalled that they tried to change a political decision that the people of Oklahoma had just made," said Chip Paul, who helped write and push for State Question 788. "After that board meeting and after the attorney general's letter, the third rail of politics would be to mess with SQ 788." Oklahoma's conservative Legislature took notice. While GOP leaders still plan to implement some general standards for lab testing, packaging and measures to prevent pot from ending up on the black market, they appear in no rush to make wholesale changes. "I do not see an appetite at all to go in and try to undo the will of the people and get rid of medical marijuana," said state Sen. Greg McCortney, R-Ada, who served on a medical pot task force. The state's new Medical Marijuana Authority already has raked in more than $7.5 million from registration fees from patients, growers and dispensaries. The first revenue from the new 7 percent sales tax on pot sales began dribbling into state coffers last month. Even members of law enforcement, who were among the most vocal opponents, appear to accept that the public's attitudes about marijuana have shifted. "There are many, many people out there who like to go on their back porch in the evening in the privacy of their own homes and they like to smoke marijuana," said Wagoner County Sheriff Chris Elliott, who worked for 27 years as a Tulsa police officer before being elected sheriff. "These are not what you would consider druggies or seedy people. 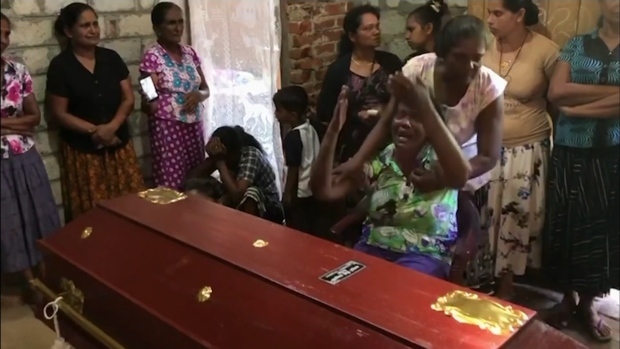 These are people who work, they pay taxes and they go to church. And they've had to sneak around because they've lived in fear of me, law enforcement."